Besotted where the apples rot. To spare so little as the moth. Might well choose me the next one going. A quarrelsome smudge condemning the snow. There is a proposal that there be a state poem, being considered this week, on Thursday. I am writing to you to ask if you would read this and get in touch with your representative (see info below) about it. My feeling is that this poem is inappropriate for a number of reasons. One is that, in a state where Jews (such as myself), Muslims, Buddhists, and people of other faiths, as well as agnostics and atheists, live, a poem that speaks of “Christ our Lord” is not a good choice. Even our Governor speaks passionately of inclusion. Other reasons not to choose this particular poem include the fact that it simply is an amateur work, and we live in a state that has fostered, and continues to foster, serious, skilled poets. Yes, one could argue that there is much that is lovely, heart-felt and NH-based in this poem; but, for a number of reasons, I, along with other poets I’ve spoken to, including the president of the NH Poetry Society, Don Kimball, would like to see a different approach to this interesting idea of a state poem. My proposal is that it would be wiser, and more exciting, to put out a state-wide call for entries. 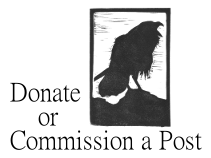 These could be poems already written, that poets and readers in our state would like to submit for consideration, or ones that we NH poets write. A committee made up of a team of knowledgeable readers and writers would choose from among the “candidates” submitted, looking for a worthwhile poem, with language that would inspire more inclusion as well as reflect the best in NH, to represent poetry in our state, and make a recommendation to the legislature. 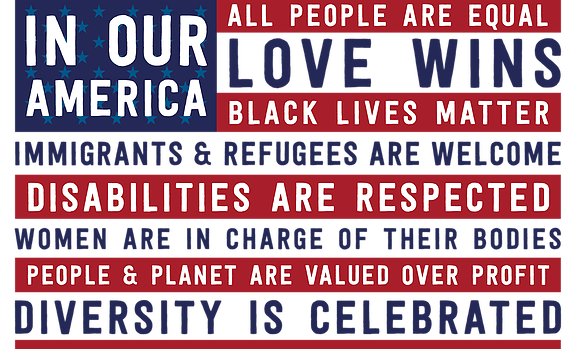 Please read the proposed poem and contact your state representative. If you agree with me, let him or her know that this is not the poem for NH today or for the future, and that you would like to see implemented a process such as what I’ve outlined above, in order for us to make an informed, valid choice for this consideration of a state poem. Remember, the vote happens this Thursday morning! Thank you. And please spread the word! The email goes on to cite the bill: “HB 152, the one proposing establishing a state poem, is scheduled for discussion in the House Executive Departments and Administration Committee on Thursday 1/22 at 11:00 AM in the Legislative Office Building, Room 306.” I was skeptical at first — my chain-mail alarms were going off — but, no, the bill’s for real. Here are the details, taken from the New Hampshire’s legislative website. Text [HTML] [PDF] Title: establishing a state poem. The counter-example was North Carolina’s prior poet laureate Joseph Bathanti, six books of poetry in tow and a recipient of awards and fellowships. Personally, I’m not the least impressed by Bathanti’s poetry. A count of books published is next to meaningless; and awards and fellowships are a dime a dozen. If poetic quality were ever a requirement for Poet Laureate-ness, then we’d have few, if any Poet Laureates. So, I personally wasn’t buying the she’s-not-a-good-enough-poet objection. Neither was Bathanti (and neither is our current Poet Laureate, Natasha Trethewey). They’re competent. While accusing McCrory of boorish manners, the same crowd eviscerated the hapless poet Valerie Macon — and that’s what nettles me. The North Carolina Arts Council (and individuals like Chris Vitiello) had a chance to step up. They could have accepted Macon, encouraged her, and shown some real class and humanity. Instead, they decided the whole affair was about them, and effectively eviscerated Valerie Macon. Sure, she may have self-published her books — so what? — and she may not have been the recipient of awards or fellowships — so what? — but she might have been a great Poet Laureate. It doesn’t take much to be a good Poet Laureate — writing decent poetry is not a prerequisite. In the meantime, Macon appears to have closed her website and withdrawn from public view. That’s a shame. “North Carolina Governor Pat McCrory is a Republican and most definitely not a fan of the liberal arts. He’s also anti-gay, hates the Affordable Care Act, cut unemployment benefits, has been accused of voter suppression and believes the “educational elite” (that’s GOP code for pinko, homo, commie, hippie liberals) have taken over the schools and universities. So, his selection of Valerie Macon as the new state poet laureate should come as no surprise. Of days that used to be. Are only a few of the visions I saw. Burning embers in hand hewn hearths. These things man can’t buy with material wealth? All covered in winter with a blanket of snow? Still be sheltered by willows beneath the blue sky? And the sleeping flowers blossom at each waking of the dawn? Will they still be there awaiting me? Those memories, too, are on my mind. And proudly sailing home we come? And men no more for freedoms fight. The answers then will come to me. It’s a wonderfully heartfelt poem written by a poetaster. To the extent that it’s a private poem, I have no quarrel with it. But as a poem thrust before us as the poem of the state of New Hampshire? I reluctantly critique. It’s a well-meaning poem rife with all the expected flaws of an amateur poet – mawkish, sentimental, precious. What’s not to love if you’re a politician? As always, there’s a difference between writing poetically, and writing poetry. Hartnett’s poem is a prime example of the former. The archly poetic phrasing of “memories cherished reflected then” is so precious and syntactically contorted as to be almost incomprehensible. Nobody talks like this. Experienced poets don’t write like this. This is the kind of stuff that made Ezra Pound cringe. It’s a throwback to the aesthetics of the Victorian era. The poem obviously presumes a Christian readership — and that surely appeals to a certain brand of politician. 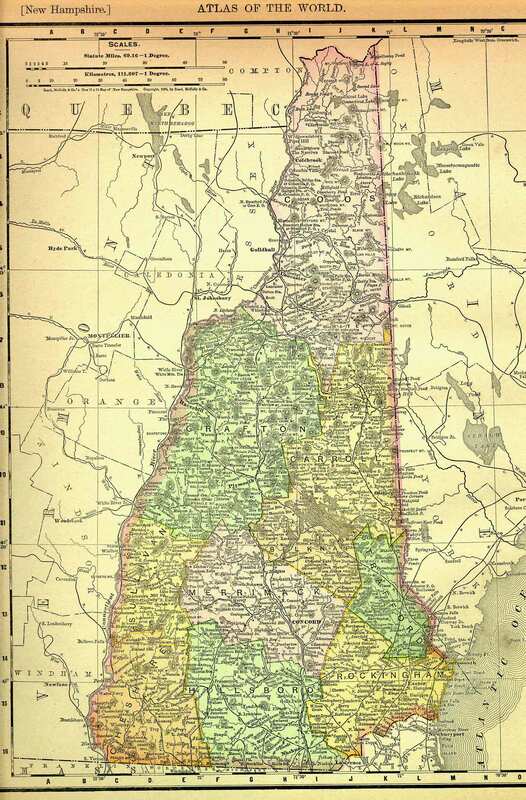 If the poem is to be the representative poem of New Hampshire, then the message is clear: We are a Christian state and Christ is “Our Lord” — and your Lord too (by the way). But setting that aside, more of the author’s amateurishness is on display. What else is Christmas morn but the day that Christ was born? It’s more than a little redundant. The two lines come off as mawkish with a touch of Sunday-school pedagogy. The truth of the matter is that born rhymed with morn. Hartnett, like any amateur poet, sacrifices quality for the easy rhyme. Hartnet wants to rhyme with snow, so he writes the completely gratuitous below. Ask yourself, when has a valley ever been anything other than below? Mountains below? Valleys above? The next line descends further into rank amateurishness. All covered as opposed to covered? A thing is either covered or it isn’t. Hartnett is simply padding the line. So, the valleys are all covered, but even that’s not enough. Hartnett then adds the superfluous blanket. There’s not much going on in these lines. A grammatical inversion for the sake of rhyme. The hallmark of the amateur formalist. When has a steeple been anything other than beneath the sky? More gratuitous redundancy. Possibly the best lines in the poem. No redundancies. No syntactic pirouettes for the sake of rhyme. As opposed to where? Where else would those memories be but ‘on his mind’? More gratuitous padding. Yes, the cliché of clichés — ‘fleecy white’. It doesn’t get better than this if you’re a connoisseur of clichés. The second of the two lines is a syntactic disaster, utterly distorted and almost incomprehensible — all for the sake of a bad rhyme. My advice? This is a wonderful, personal poem written by a young soldier yearning for an end to war. Leave it at that. It was never meant to be New Hampshire’s state poem. There are much better poems, better written and more inclusive. 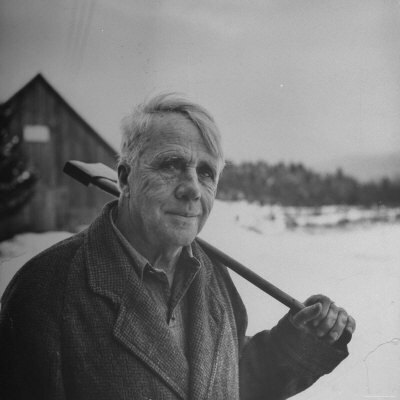 What about Robert Frost’s New Hampshire, written in Vermont? In the meantime, I notice that another poem has been forwarded as an alternative, one by Andre Papillon. This is doggerel. My advice to poets writing traditional poetry is this: If it’s not readable prose, then it’s not going to be readable poetry. A passage that utilizes rhyme and meter should withstand a turn to prose. That is, the rules that govern prose govern poetry. E.E. Cummings, you object! Yes, but E.E. Cummings choices were a careful and deliberate departure. It’s not easy, and there’s only been one E.E. Cummings. Emily Dickinson? Sometimes she’s successful. Sometimes not. Despite her genius, her poetry can be incomprehensible without annotation. Just as with with Hartnett’s “valley’s below”, Papillon gives us ice that has “gripped above”. As opposed to where? Below? This kind of gratuitousness is the hallmark of the inexperienced rhymer — the sort of thing that makes free verse practitioners groan. My advice to the New Hampshire legislature: Make it an inclusive poem, yes; but make it a good poem. If you’re not a carpenter, you might want to think long and hard before you build your own house. Likewise, don’t be embarrassed to ask for advice from those with some experience in the poetic trade. It’s not about elitism. It’s about choosing a poem that represents the best in poetic craftsmanship — and New Hampshire. This just in. I received an E-Mail from Bellows Falls native, Clara Rose Thornton, asking me to spread the word, which I’m glad to do. If you’re a high school or college student, enjoy poetry and want to learn more, the following might be of interest. 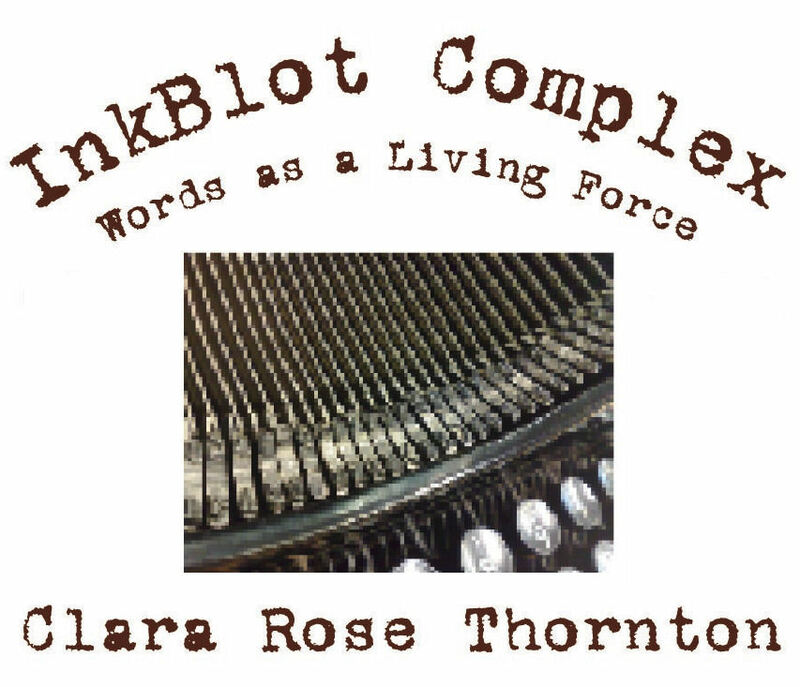 The innovative, six-part InkBlot Complex Poetry Workshop aims to lift poetry from the page and reveal how it is a living force in daily life. Originally taught at the University of Illinois at Chicago to great acclaim, its interactive nature and inclusion of multiple art forms leaves dry, academic notions of poetry behind. The anticipated New Hampshire debut is geared toward high school and college-age participants. The workshop culls from the rich legacy of Chicago’s underground poetry scene, while universalizing its methods and practices. It functions through three tenets: 1) Presentation of the art form as a living element of our daily world, 2) individualized, personal enrichment and free range of expression for each student, and 3) artistic cultivation through unexpected means. Taught by seasoned arts journalist, cultural critic, and poet Clara Rose Thornton, this six-session event explores the poetry we encounter all around us—in the songs we hear, the ways we express ourselves, even the advertisements we see. In the final session students then create their own works with an increased sense of connection to the way words construct meaning. All materials will be provided, and fresh, local, organic refreshments served. Instructor Clara Rose Thornton is as an internationally published film, wine, and visual arts critic; music journalist; poet; and book and magazine editor. Originally hailing from Chicago, she has been active in the national performance poetry milieu for ten years, acting as a judge in slam competitions in two states (Oregon and Illinois)—including at the legendary Green Mill jazz lounge in Chicago, where the first poetry slam took place in 1986—and as a judge in the 2010 New Hampshire Poetry Out Loud. Her writings on culture and the arts have appeared nationally in Stop Smiling: The Magazine for High-Minded Lowlifes, Honest Tune: The American Journal of Jam, and Time Out Chicago. Currently residing in an artists’ colony in Windham County, she acts as the weekly arts columnist for the Rutland Herald, staff writer for Southern Vermont Arts & Living, and a regional correspondent for ArtScope. A portfolio, bio, and roster of writing and editing services can be found at WWW.CLARAROSETHORNTON.COM. The InkBlot Complex Poetry Workshop is presented by The Starving Artist, and happens every Thurs. in May—6, 13, 20, 27—and the first two in June—3, 10—from 4 to 5 p.m. at Starving Artist, 10 West Street in Downtown Keene. $100 early registration, $120 after April 15. * Partial attendance negotiable. Although it’s called the New Hampshire’s Writer’s Trail, this year’s trail is crossing the river into Vermont (where all good things happen). Take a ride on the train and enjoy poetry, Shakespeare and other readers and writers of poetry. Just found this flier. It’s right around the corner from where I live. Wednesday mornings, they have writers groups. No talking. Just writing. Click on the images to find out about courses and other offerings.